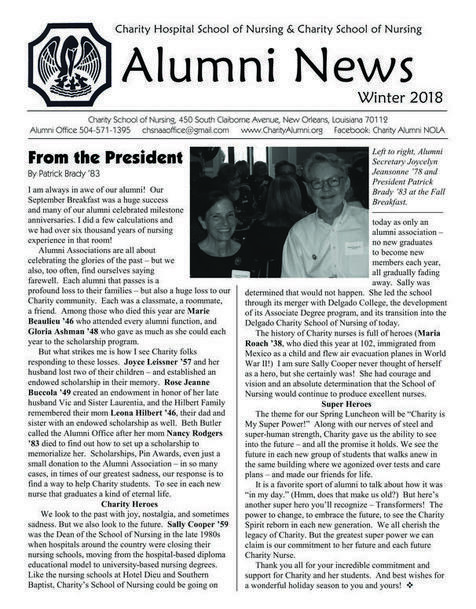 The 2018 Edition of the Alumni News was mailed in December 2018 to all alumni we have on our mailing list. If you did NOT receive yours, we do NOT have your current address! Please use the form below to send us your current address, and we will send you the Alumni News as well as future publications such as The White Cap coming out in the summer of 2019. Click on the icons to view and download.